The feeding always has to adapt to the age of the dog. 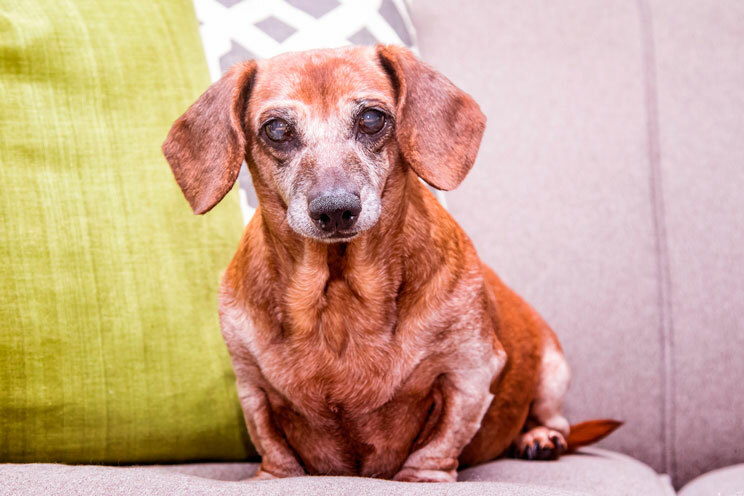 Senior dogs need the same nutrients as young dogs, but in different percentages. A young dog burns more energy than an old dog. However, older dogs also need a supply of carbohydrates, as well as proteins, fats, vitamins and minerals. The proteins must be the base of the feeding of the greater dog, because they help to counteract their muscular deterioration (contributing elasticity and resistance) and transform the food into smaller substances so that the organism can take advantage of them. Carbohydrates are a source of energy, whatever the age of the dog. Older dogs also need them for their daily activity. The same applies to fats, which are necessary as an energy source and to maintain body temperature and healthy hair and skin. However, their intake should be lower in an elderly dog ​​than in a young one due to the reduction in physical activity over the years. It is important to watch that our dog does not suffer from overweight. Vitamins and minerals are also essential in the diet of the senior dog, because they stimulate the functioning of the immune system and help the cells and organs to perform their functions correctly. 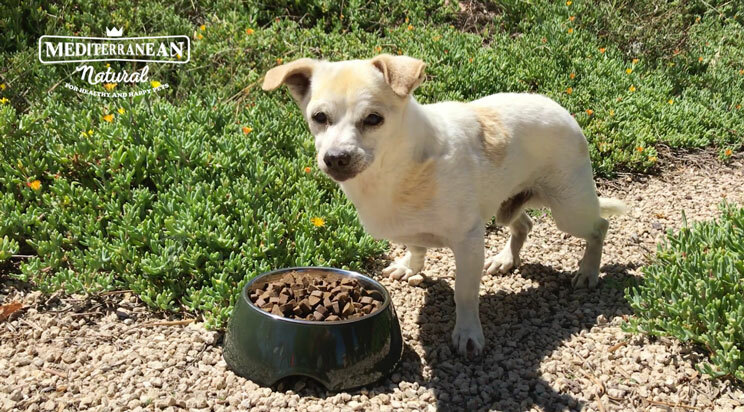 When our dog reaches a certain age and their dietary needs change, it is important to adapt their diet to these needs. 1.- It chews easily and is attractive and tasty to the palate. 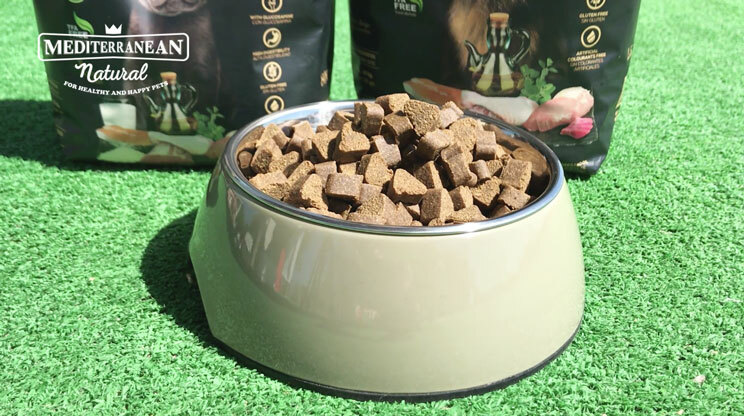 Being a semi-moist feed, it is very soft and the dog chews very easily and thanks to the quality of the raw material with which it is made (fresh meat and fresh fish from the human food chain) has a high palatability. 2.- It is highly digestible. Delicias contains natural antioxidants, such as oregano oil, which inhibits the growth of intestinal parasites and stimulates bile. 3.- Help to counteract muscle deterioration. The fish and meat with which we make our Delicias, cooked at low temperature, provide high quality protein to the dog (high biological value and easy absorption) that help keep his muscles healthy. 4.- It helps the good health of the joints and prevents degenerative processes. Our semi-moist feed contains prawn and crab extract, which provides glucosamine to the body. This glucosamine favors the development of the cartilaginous tissues and protects the joints, keeping them healthy. It is very beneficial in cases of osteoarthritis or hip dysplasia, for example. 5.- Help the body to perform its functions normally. Delicias provides vitamins and minerals essential for the body: vitamins A, D and E and minerals such as calcium, phosphorus, magnesium, iron, zinc and copper, helping cells and organs to perform their functions. 6.- Helps maintain the cardiovascular health. Our semi-moist food provides monounsaturated fatty acids such as Oleic Acid (Omega 9) and polyunsaturated acids such as Omega 3 and 6, which, among other properties, reduce the risk of cardiovascular disease. In addition, it does not contain trans fatty acids, responsible for the increased risk of heart disease. 7.- Help the proper functioning of the immune system. Vitamins A and E and the iron, copper and zinc that our food provides play a very important role in the immune response of the dog’s organism. 8.- Provide the necessary carbohydrates reducing the risk of food intolerances. Delicias are gluten free. We use rice as the only cereal in the elaboration because it provides the carbohydrates that the dog needs, produces less food intolerances and is not among those qualified as allergens by the European Union (EU Regulation No. 1169/2011). 9.- Take care of the hair and the skin. Its monounsaturated and polyunsaturated fats (high quality) and oregano oil help keep hair and skin healthy. 10.- Artificial colourants and artificial flavours free. GMO free. Delicias is made with ingredients that have not been genetically modified and artificial colourants and artificial flavours are not used. 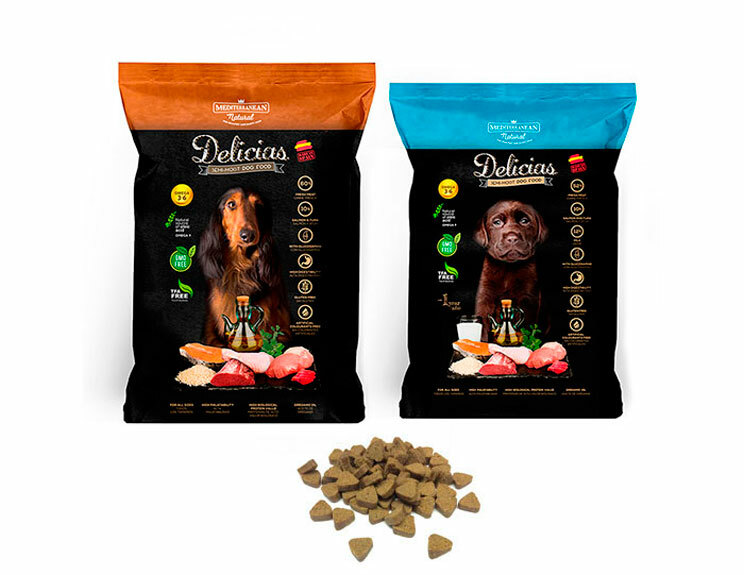 In this video you will see where and how our Delicias is made, what benefits it brings to your dog’s health and how to manage it. Remember that your dog’s health depends directly of his diet. 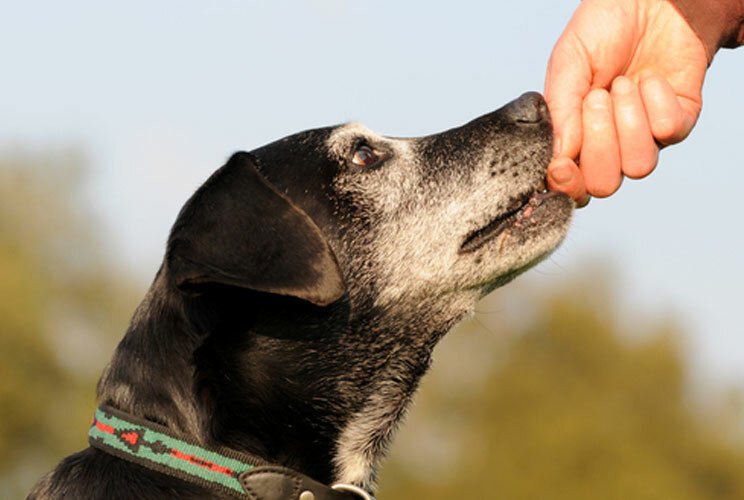 In senior dogs, feeding them with a food that is adequate to their needs is of vital importance. We encourage you to try our Delicias. We are sure that your dog will love our semi-moist food. If you need information about stores near your home where you can find our products, write to marketing@mediterraneannatural.com indicating your city, country and zip code. We will be happy to assist you.